Back by “popular” demand: We are pleased to offer Wicked tickets to local Meredith College alumnae before tickets go on sale to the general public! Join us for the best show of the season on Thursday, May 24th at 7:30pm at the Durham Performing Arts Center. Tickets are $56 per person. Space is limited; place your order today! Guests welcome! Entertainment Weekly calls WICKED “the best musical of the decade.” Winner of 35 major awards, including a Grammy® and three Tony® Awards, WICKED is Broadway’s biggest blockbuster, a cultural phenomenon and was just named “the defining musical of the decade” by The New York Times. For additional information or to purchase your tickets, please contact Meredith Moody at moorem@meredith.edu or 919.760.8070. 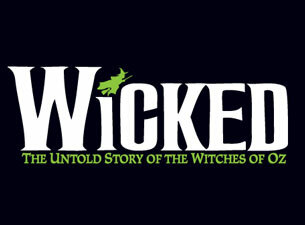 For additional information on the show, Wicked, please visit DPAC’s website by clicking here. I would like to know about a ticket. Also, where are the seats located?